Yesterday evening Event #29 ($5000 H.O.R.S.E. Tournament) ended with Tom Schneider winning the bracelet. If you have been following the 2013 World Series of Poker action you may remember that Schneider won Event #15 ($1500 H.O.R.S.E.). There were 261 players in the H.O.R.S.E. poker tournament. On day #3 of the tournament it was expected that the tournament winner would be decided, but after 12 hours of action on the felt there were still four players left that had to return for day #4. Schneider had over 60% of the chips in play when action resumed yesterday with four players. Viatcheslav Ortynskiy was the 1st player knocked out (Holdem). Ortynskiy went all-in with a K/4 off-suit. Schneider called with an A/2 and hit an ace on the flop. 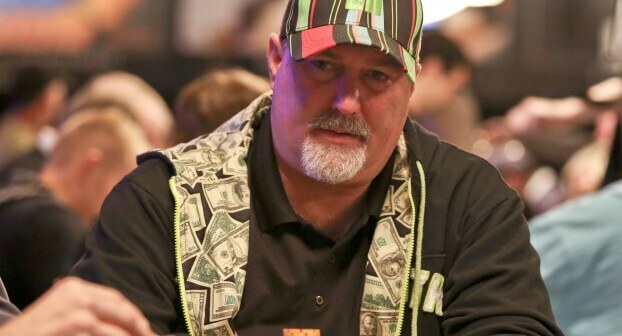 The Canadian, Greg Mueller, was the next to go in a Stud hand. Mueller ended up all-in on fourth street behind. He took a lead in the hand on fifth street. On seventh street Mueller completed a diamond flush, but Schneider hit a full house (9 full of kings). Once action went heads-up Schneider had 3,035,000 chips while Benjamin Scholl had just 885,000. The final hand of the event was Holdem. After the turn (A/J/6/K) Scholl ended up all-in. Scholl had a pair of kings, but Schneider had a pair of aces. Schneider didn’t suffer a bad beat on the river and claimed the bracelet plus huge 1st place prize money. Schneider now has won four career WSOP bracelets. He’s also now in 2nd place in the WSOP POY standings (427.88), which he won back in 2007.